I want to congratulate the people of Sisseton for deciding to build this marvelous Performing Arts Center. When I was attending Sisseton High School in the '40s, I was convinced that musical and theatrical performances had to be done with their audiences sitting on the floor of a basketball court. This proves that it need not be so! I spent a year selecting, arranging, and putting the Stavig letters into a dramatic context. My effort was to find in the letters the heart and pulse of the pioneer experience and the experience of those who stayed put in the old country. My effort was at least successful enough to allow three people to read letters from two extraordinary half brothers more than fifty times in four states. And now, with the technical genius of television, we can see and experience the visual images as well as the spoken words found in the letters. Thanks, then, to Lars and Knut, who wrote the letters like we rarely do anymore; to Harold Torness, who found the letters and made certain that they would be available to the public; and to Bruce and Marta Boyce, who translated the letters. 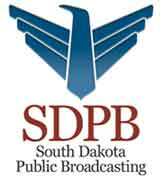 I thank South Dakota Public Broadcasting and congratulate Jim Sprecher and his cast - especially Sarah, John, and Gary - and the crew for making the Letters come alive with visual imagery and clarity. Thanks for a job well done! I also congratulate and thank the South Dakota Humanities Council, the Stavig House Museum, and Jane and John Rasmussen for their strong support of the Letters. Finally, I thank all of you who support South Dakota Public Broadcasting, the South Dakota Humanities Council, and the Stavig House Museum. It's a great day to celebrate South Dakota! "Like the very lives their authors lived, The Stavig Letters give voice to the indomitable spirit and courage of the pioneer." The letters also reflect the continuing hardships of those who came and those who stayed put. "Like us, they experienced the suffering in being human, but also, like us, they experienced the celebration of life."